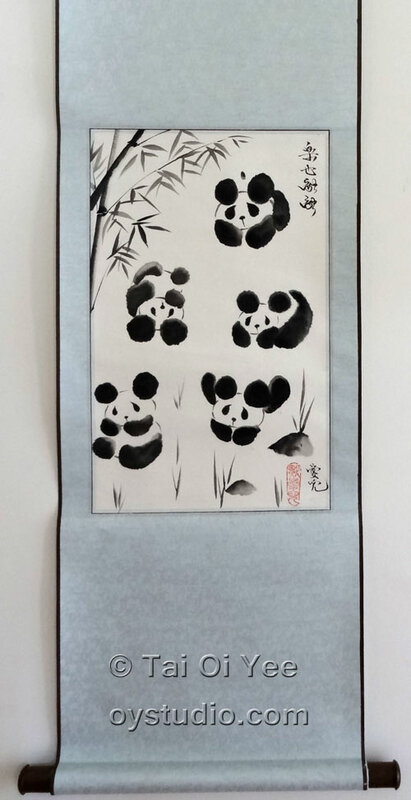 Here is my print with the names of the panda cubs, Jia Panpan 加盼盼 and Jia Yueyue 加悦悦. The original painting is sitting behind the desk of the zoo's CEO. Website: http://oystudio.com Here is the note that the zoo asked me to write about the inspiration behind the artwork. 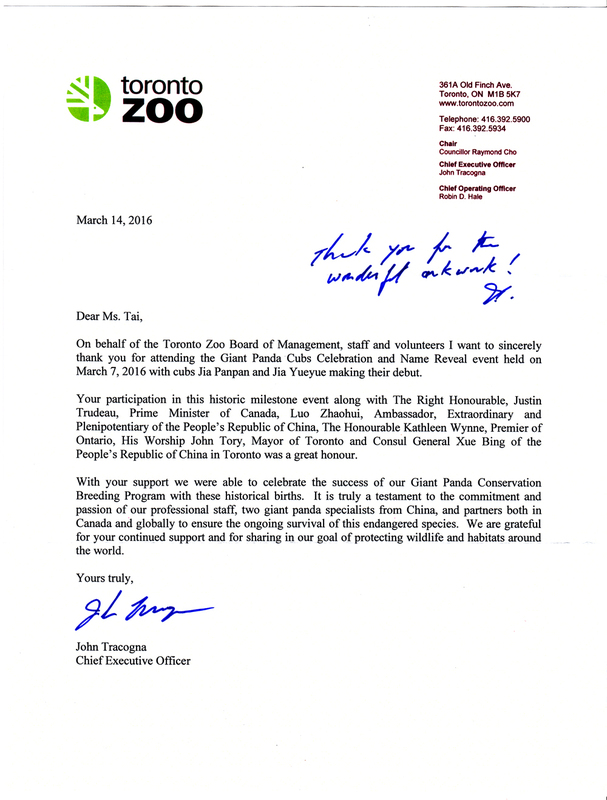 Here is the other panda painting of mine which is now hanging outside the boardroom of the Toronto Zoo. It is titled " Happiness Is Getting Along ", inspired by the Chinese saying 樂也融融. I created 5 pandas representing the 5 continents, symbolizing the ethnic mix in Toronto. This world would be a much happier place if we can all accept our differences and get along in harmony. September 15, 2014 At the Wychwood Barns Community Gallery , Toronto - Oi Yee was the special guest artist conducting an art workshop for the Art for Cancer Foundation. This art workshop was aimed at helping those living with cancer, their families and caregivers.